talkhealth > Blog > 2014/04 > Who said you can’t have a fun free from Easter? 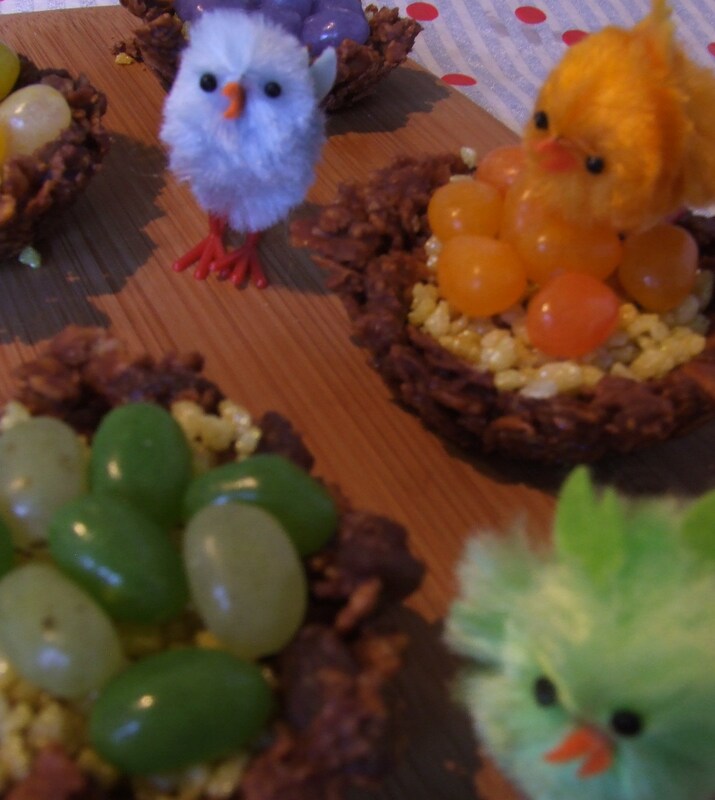 These are dairy free, wheat free, gluten-free easter nests just the job if you have to avoid dairy and want to have at least a small amount of chocolate. Weigh out the cornflakes and sultanas into a bowl. Crush the cornflakes a little. Add to the cornflakes ans sultanas and mix till coated thoroughly. Put the mix into a bun tin and flatten the middle to make a nest. Place in the fridge to set then sprinkle the middle with sprinkles and add some jelly bean ‘eggs’.